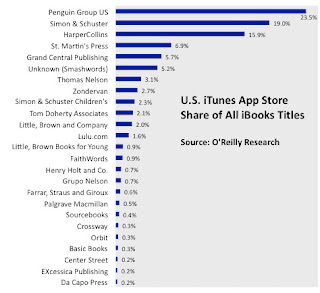 The folks over at O'Reilly Media published a survey which examines publisher stats for titles in the Apple iBookstore as of April 26. They concluded Smashwords titles represent 5.2% of all titles in the bookstore, putting us in the #6 position in terms of title count. It'll be interesting to see how the numbers trend over time. We now publish and distribute over 11,000 original ebooks, and to date we've only supplied the iBookstore a fraction of these. We'll supply thousands more in the next 30 days. This is great news for those of you who distribute with Smashwords. You're part of a quiet revolution that will democratize book distribution to the benefit of all indie authors and small publishers. Read the O'Reilly story over at O'Reilly Radar. 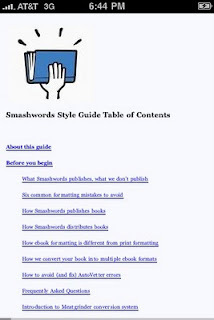 Smashwords authors can now add enhanced navigation to their ebooks with linked, clickable ToCs. This is good news for our 4,992 authors (we should reach 5,000+ by tonight or tomorrow!) and their 10,943 books. The lack of live ToC support has been one of the biggest, most glaring holes at Smashwords ever since we launched two years ago. For fiction, it was a tolerable omission for most readers because people read fiction serially, from word one forward. For our non-fiction authors, it was more problematic because readers interact differently with non-fiction. For some non fiction, navigation is essential to the reading experience. 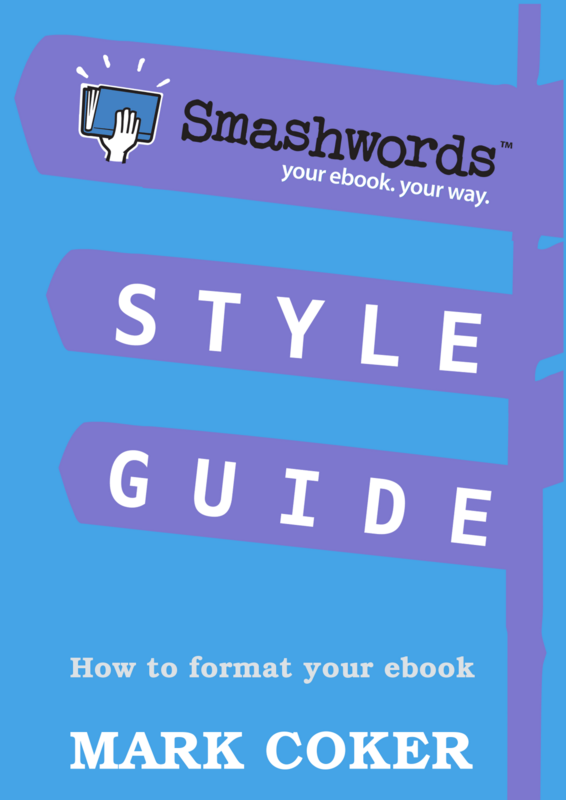 The newly updated Smashwords Style Guide, which now sports a sporty ToC of its own, went live this afternoon with step by step instructions. Special thanks to Smashwords author Cheryl Anne Gardner for volunteering the fancy finger work to test different approaches for creating ToCs. Cheryl Anne sent me some some great step-by-step notes which I incorporated directly into the Style Guide along with some additional tips from own my testing. Turns out our Meatgrinder has supported ToCs for at least a couple months. We didn't make any deliberate changes to Meatgrinder to support this. It's possible the support arrived serendipitously in the last few months when we started doing a series of Meatgrinder conversion blade upgrades. The secret to good intra-ebook hyperlinking with Smashwords lies in using Word's bookmark feature. As Captain Kirk might say, we're boldly taking Microsoft Word where it has never gone before. I tested the new Style Guide with Stanza on my iPhone (screen shot at left) and the ToC works well. You just tap your finger down for about a second until the link turns yellow, then you lift your finger and it jumps to your page. I also see we're supporting forced page breaks in front of Headers. This is another feature I didn't know we supported until a Smashwords author blogged about it or told me about it, I forget which. I'm always learning from you guys. Although I haven't tested this yet, the bookmarks can also be used to create fully linkable footnotes, endnotes and indexes. The addition of navigation gets us one step closer to completing our integration with Amazon so Smashwords books can be distributed directly into the Kindle store. We've incorporated other recent changes too, such as new guidance in the Style Guide to help authors do better first line paragraph indents and construct better block paragraphs. These changes not only accommodate Amazon but will also improve the overall formatting quality of our books. Oh, wow. After I finished the previous post about how the number of self-published books is exceeding the number traditionally published books, I clicked over to the Smashwords home page to discover our word counter ticked past 500 million when I wasn't looking. Six months ago, I set a crazy goal for Smashwords to publish one billion words by the end of 2010. I called the challenge our Billion Word March. At the time, we had just published our 150 millionth word. Can we make it? It's too soon to tell. It'll be tough. 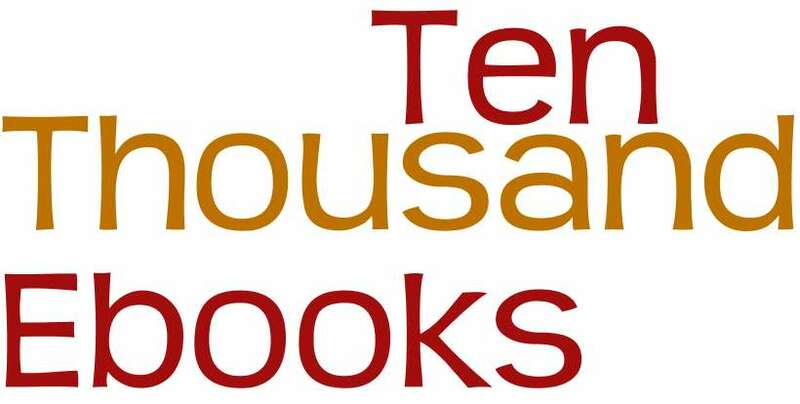 We have 8 1/2 months to double the number of books now published, which, as of this exact second, stands at 10,426. After I wrote the Billion Word March post, I recall a few folks snickered, and questioned whether this was a good measure of success. After all, shouldn't quality matter more? Or book sales? Or the name of the publisher? You be the judge. I see the number as a measure of liberation. These are words that deserve to be published because all authors should have the freedom to publish and reach readers. Readers will decide the value. Some of these books will go on to achieve great obscurity. Others will find, and are finding, thousands of readers thanks to the simple, free and instant publishing enabled by Smashwords. For the doubters out there who believe the only legitimate measures of a book's worth are units sold or big names on the spine, you're missing the point of publishing. More importantly, you're underestimating the growing power of the indie author collective. Jim Milliot over at Publisher's Weekly reported today on new data out of R.R. Bowker that shows a huge spike in the number of self-published titles in 2009. A staggering 764,448 titles were produced in 2009 by self-publishers and micro-niche publishers, according to statistics released this morning by R.R. Bowker. The number of "nontraditional" titles dwarfed that of traditional books whose output slipped to 288,355 last year from 289,729 in 2008. Taken together, total book output rose 87% last year, to over 1 million books. The Amazon subsidiary CreateSpace produced 21,819 books in 2009, while Lulu.com released 10,386. Xlibris and AuthorHouse, two imprints of AuthorSolutions, produced 10,161 and 9,445, title respectively. In something of an understatement, Kelly Gallagher, v-p of publishing services for Bowker, said that given the exceptional gains in the nontraditional segment the last three years, growth in that area "show[s] no signs of abating." Read Milliot's full story here. 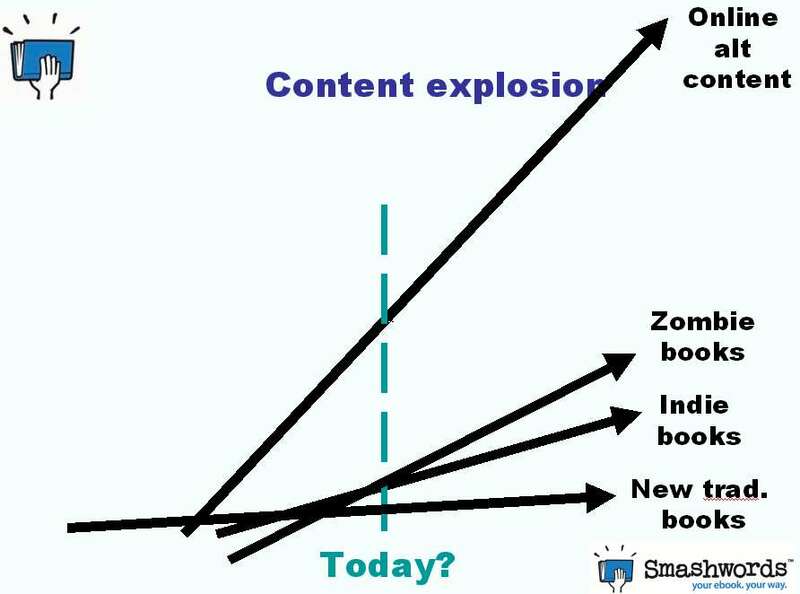 A few weeks ago, I did a presentation titled, "Bookselling on the Web" at the Booknet Technology Forum conference in Toronto, and in that presentation I discussed four big trends that will impact publishers in the years ahead. My trend #3 was, "Publishers Compete with Authors." The tools to publish and distribute books are no longer the sole domain of traditional publishers. Nothing new there. What's new is this rapid rise of indie-published books, and the profound implications it will have on traditional publishers. The chart above is not meant to be numerically accurate (though based on the numbers released today, it's probably not far off). Instead, it serves as a visual representation of what I view as a larger trend where, from a sheer force of numbers perspective, self-published works will continue to swamp traditionally published works. In the brick and mortar book store world, the numbers above have little impact, because 99.5% of these indie-published books are unlikely to receive widespread distribution in stores. That is still one huge benefit a good publisher can offer an author today that an author can't achieve on their own. If you want your book on the front table at Barnes & Noble, a big publisher has the clout to put it there. In the online bookselling world, however, the advantage is less pronounced, because a print on demand self-pubbed title can share the same virtual shelf space as a traditionally published title. Same thing with ebooks. As any indie Smashwords author or publisher knows, our ebooks are distributed right alongside those of major publishers in ebook stores such as B&N, Sony, Kobo and Apple's iBookstore. The fourth trend I presented, related to my Trend #3, I labeled, "Content Explosion." See the slide at left. Again, it's not meant to be numerically accurate. It's more of a macro conceptual representation of where I think things stand today, and what the future will look like. In the future I see, there will be an ever-growing explosion of content, and all this content will compete for the limited eyeshare of consumers. Indie authors, by their sheer numbers, will swamp traditionally published authors. Zombie books (my term for books that refuse to die, such as used print books, re-issues of out-of-copyright and out of print books, both as P.O.D. 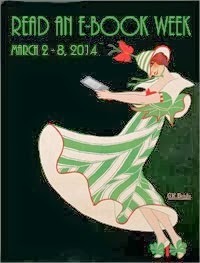 books and ebooks) will compete against the new titles and backlists of indie authors and traditional publishers. And then swamping all the players, by sheer volume, is the ever-increasing amount of alternative, Web-accessible content. How can any author or publisher compete against this flood of unlimited content choice? My message is not doom and gloom. 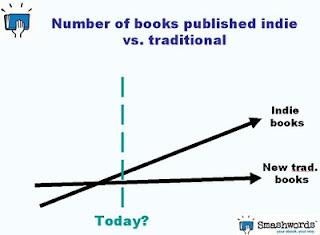 I think authors and publishers have more opportunity to profitably reach readers than ever before. It all comes down to the same factor that has always governed the success or failure of any book - word of mouth. To spark word of mouth, it starts with an incredible book presented to your first readers. Readers will always appreciate a great read. If you write a book that incites passionate joy and appreciation in your reader, then the reader will attach your book to their virtual sleeve and will promote it to everyone they know and love. There one big problem with my trite answer to life, the universe and everything related to publishing. The reality of the matter is that, to our readers, our books appear somewhere along a broad spectrum of perceived brilliance. On one side of the spectrum you have horrible books that would make any reader's eyes bleed. On the other side of the spectrum you have books of brilliance and resonance that will go viral. Most of us authors fall somewhere in between. Maybe for a future post I'll explore what authors can do to catalyze their virality. 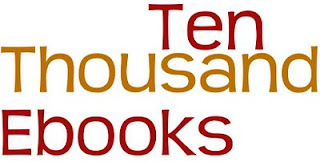 The Smashwords catalog of original indie ebooks surpassed 10,000 yesterday. With your help, I think we can hit 25,000 by the end of the year. And hey, if we fall short and hit 20,000, it'll still blow a lot of people away, myself included. 10K is a huge milestone, not only for us as a business but also for the entire indie movement. 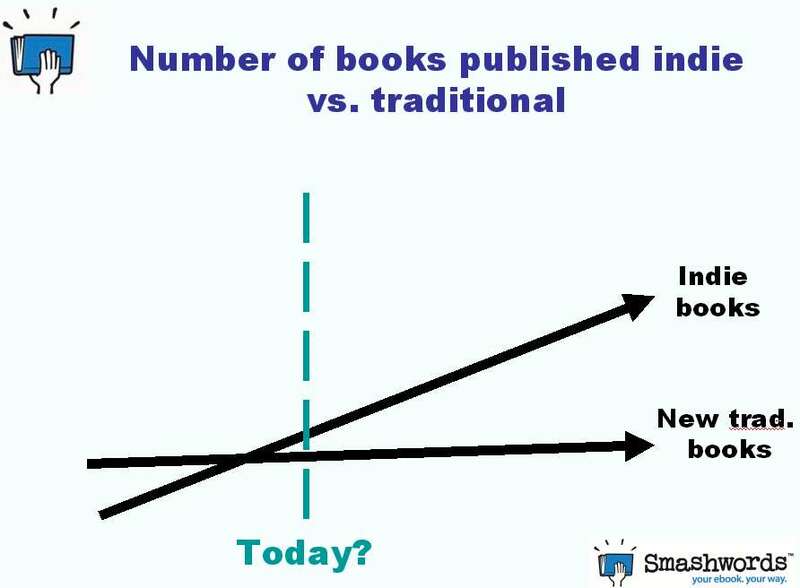 Indie authors and publishers will inherit the future of publishing. I'm convinced of it. What was once called the slush pile - the unpublished manuscripts languishing on the desks of literary agents and acquisition editors - is now moving online. Authors are bypassing the slo-mo business practices of the past in favor of instant publishing. In the next couple years, I think we'll see more traditionally published authors step their toes into the indie waters as well. It's in their economic best interest to do so. As I've often said in the past, we make ebook publishing fast, free and easy. But it's up to you to create and market a great book. It's only a matter of time before some talented Smashwords authors become break-out commercial surprise hits - authors that were previously denied any chance to reach their audience. I think that's exciting. I'm even more excited, however, by how we provide you, the author or indie publisher, the freedom to publish. The value of your work no longer need be judged by some Manhattan high rise publisher, or even by your commercial success. 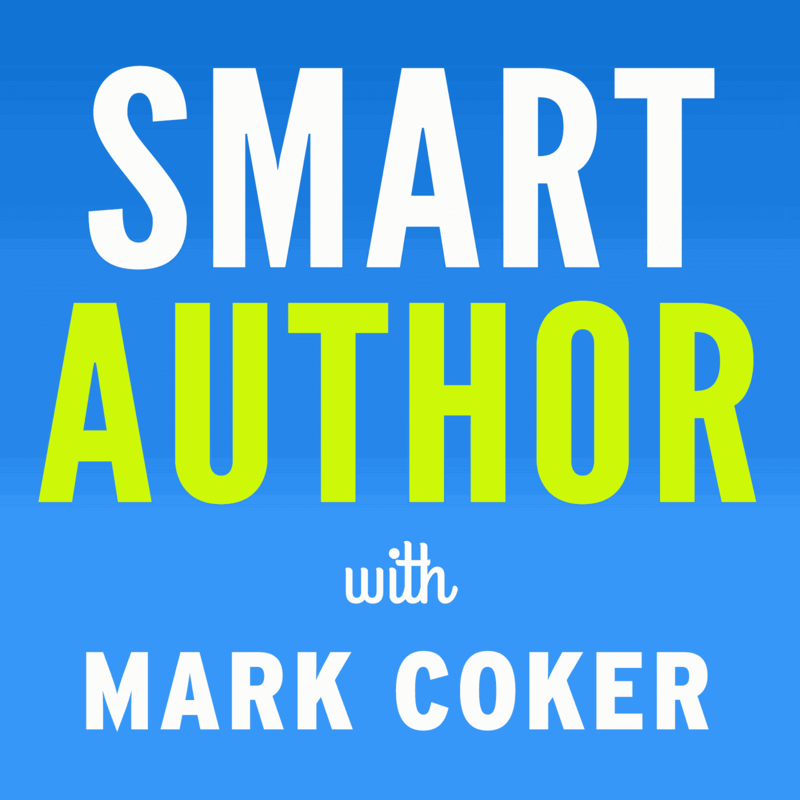 Instead, the value of your work is affirmed the moment you reach that first satisfied reader. One author the other day told me how excited he was to receive his first Smashwords review - 5 stars - and he told me he was even more thrilled that the review came from someone he didn't know. Cool beans. Thank you to each of you who took a chance on this dinky little ebook publishing startup and entrusted a small piece of your book's future to us. We're only getting started. 2,000+ ebooks from Smashwords authors and publishers appeared on the iPad yesterday. 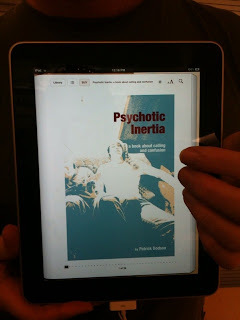 Click here to learn how to publish Apple iPad ebooks in the iBookstore. Very few people in the publishing industry understand the profound implications of this. It's not just about the iPad - it's about how any author, anywhere in the world, can go from a Microsoft Word document to worldwide ebook store distribution in a matter of seconds or days. Welcome to the age of fully democratized, instant publishing where the bookstore is moving to a screen near you. Authors can now publish and distribute with unprecedented freedom. In the old days, like two or three years ago, the best route for any author to reach readers was to find a literary agent who could sell your book to a large print publisher. After the big sale, you'd wait another 12-18 months before your book appeared in bookstores. For many authors, that's when depression set in, because sales rarely matched expectations, and if books don't sell quickly they're yanked from shelves and cast out, condemned to out-of-print oblivion like some unwelcome refuse on its way to the remainder bin. Imagine spending years or a lifetime to write your book, only to have it disappear for all posterity? Things are starting to change now. Based on my analysis of the January ebook sales reports from the IDPF, I expect ebooks will account for at least 10 percent of the U.S. book market this year. Unit market share will actually be higher, because ebooks sell for less than print books. In this new age of ebook publishing, an author's book can be published and distributed in near-real time. A book never need go out of print because it's always stocked on a digital shelf, ready for instant digital printing and delivery to any reader. 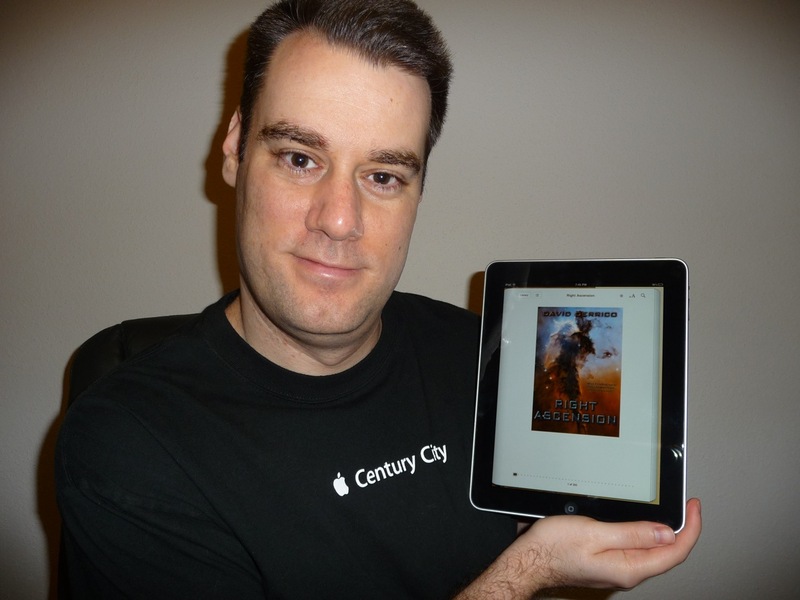 An indie self-published author can now share virtual shelf space with any other author. Some folks might find find this idea of democratized book publishing terrifying. I consider it liberating, because now readers - not publisher gatekeepers - determine which books are worth reading. I blogged about the community filter concept last year, here: Inside the Smashwords Community Filter. Book shelves are moving from the physical realm to the digital realm. Most of the major ebook retailers have opened up their shelves to indie authors. These visionary retailers and mobile phone app developers include such players as Barnes & Noble, Sony, Kobo, Amazon, Stanza, Aldiko and now the Apple iPad iBookstore. As an author, you want to be on these digital shelves. Smashwords helps you distribute to these retailers. Yesterday, after Smashwords author Susan Klopfer (pictured above and below) tweeted a picture of herself holding her book on the iPad, I invited other Smashwords authors to send me their pictures too. Below is a collection of some of the first Smashwords books on the iPad. 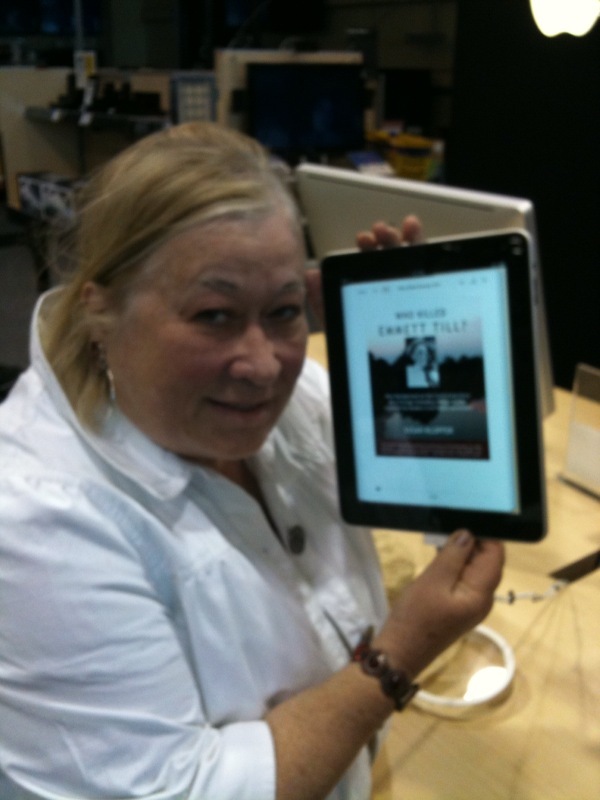 In sequential left-to-right order, pictured below are Susan Klopfer and her book, Who Killed Emmett Till? 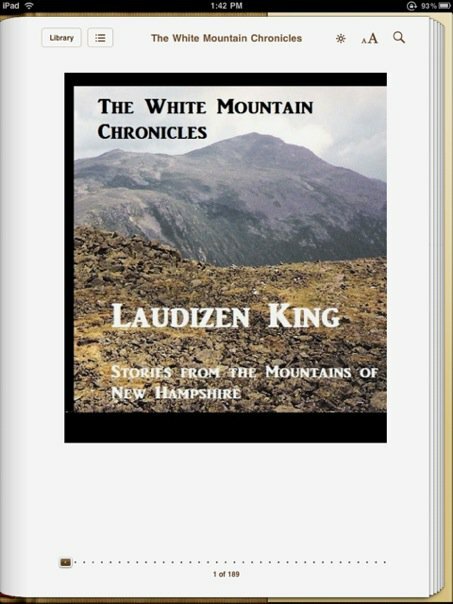 ; Patrick Dodson's Psychotic Inertia; Laudizen King's The White Mountain Chronicles; J. Alexander Greenwood's Pilate's Cross; David Derrico and his novel, Right Ascension; and last but not least, an injured Jacob Ray with a big thumbs up for Smashwords and the iPad, showing off his novel, The Undead of the Low Country. Jacob, who recently broke his hand while playing flag football to research a book on the topic of flag football (that's what you call, "throwing yourself into your book. "), tells me publishing on Smashwords was so easy he could do it with one hand. Do you want to publish your book on the iPad, the Barnes & Noble nook, the Sony Reader and multiple other mobile apps and online bookstores? 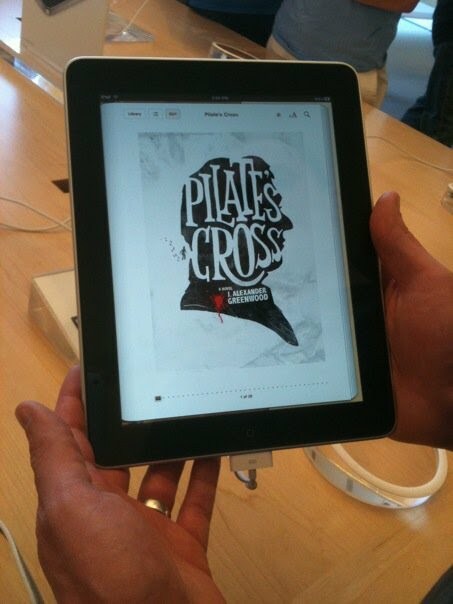 Learn how by visiting our page, How to Publish Ebooks on the iPad or How to Publish on Smashwords. It's fast, easy and free. I'll probably blog more about the Apple deal tomorrow, because that's when we issue our official press release.